The University of Padova is located in north-eastern Italy, 20 minutes from Venice. It is close to the beaches of the Adriatic Sea and to the Dolomites, one of the most scenic regions of the Alps. Conference delegates and accompanying guests have easy access the historic cities of northern and central Italy such as Milan, Verona, Bologna, Florence and Rome (ranging from 30 minutes to 3 hours train journey) with their many artistic treasures. The recommended port of arrival is the International Airport Marco Polo in Venice. Arrivals Day – Sunday 23 June – Icebreaker: 1800 – 2000hrs at the Geographical Section of the DiSSGeA Department (Wollemborg Palace). Geography Museum visit & wine tasting and cheese from the alpine battlefields. Day 1 – Monday 24 June – Opening Ceremony & Key Notes 0900 – 1300hrs; Scientific Session 1400 -1800hrs; evening visit to the Cappella degli Scrovegni and/or Padova City Center. Day 2 – Tuesday 25 June – Scientific session 0900 – 1300hrs; Poster Session 1430 – 1600hrs; late afternoon visit to” 3rd Army” Military Museum. Day 3 – Wednesday 26 June – Mid-conference excursion – Venice islands and fortifications. Transfer by bus to Venice. Visit of Forte Marghera. Boat tour in the lagoon with lunch on a lagoon island. Visit to the Naval Museum, San Mark Square and S. Andrea fort. Return to Padova by group bus. Day 4 – Thursday 27 June – Bus transfer to Montello Hill. Scientific session 1000 – 1300hrs; Field trip to the battlefield and visit of the WW1 Sacrarium(military cemetery). Visit at the Memoriale Veneto della Grande Guerra (Great War Memorial). Conference Dinner at a local country house with wine tasting. Day 5 – Friday 28 June – Scientific sessions 0900 – 1500hrs. 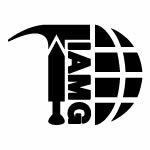 IAMG Biennial General Meeting 1500 – 1700hrs. The following themes have been identified as being of significant interest. Other topics may be considered upon receipt of abstract. Potential attendees are encouraged to contact the organizers with thoughts on additional themes. Abstract submission to ICMG19 begins on 1 December 2018 and ends on 15 February 2019. The ICGM International Scientific Committee will review all abstracts submitted. Once this is complete authors will be notified of abstract acceptance by 15 March 2019. The format for a poster proposal will be published in the website (Link to follow). Text: Times New Roman, 11 pt, normal, justified, indent paragraph 0.5 cm. The text, both in US or UK English, must have a maximum length of 3000 characters, including spaces and any bibliographical references. Abstracts must be composed of text only, without figures or tables. No footnotes may be included in the text. Bibliographic citations must be inserted in the text between round brackets, as follows: author’s surname, comma, year of publication. Several papers cited in series must be inserted in chronological order and separated by semicolons (e.g. : Ramsay, 1987; Ramsay & Huber; 1990; Ramsay et al., 2000). The mathematical formulae can also be inserted as an image file (.jpg format). Journals and their abbreviations must be reported according to the “ISSN List of Title Word Abbreviations” – LINK. In cases of doubt, the authors may quote the title of the journal in full. Instruction will be published in the ICMG19 website from 1 December 2018 (Link to follow). Full and short papers presented in the conference will be considered for publication in a Springer volume (full papers) or in a special volume of ROL – Rendiconti on Line of the Italian Geological Society (LINK). More information will be given in the ICMG19 website. Day 1 –Saturday 29 June – Transfer from Padova to Trento. Cogollo del Cengio war track; Thunder Base (Cold War American base); War Museum of Rovereto; overnight in Trento. Museo della Grande Guerra di Rovereto. Day 2 – Sunday 30 June – transfer from Trento to Marmolada Glacier. Cableway to Mount Marmolada. Serauta defensive Italian positions (field excursion). Passo Fedaia War Museum. Overnight in Cortina d’Ampezzo. Day 3 – Monday 1 July – Transfer from Cortina d’Ampezzo to Lagazuoi. Cableway to Lagazuoi high mountain Descent by cableway or by foot through a system of WW1 galleries and fortifications. Visit of the Forte Tre Sassi museum. Overnight in Cortina. Day 4 – Tuesday 2 July – Transfer from Cortina d’Ampezzo to Monte Piana open air museum. 4×4 mountaintrip to Italian and Austroungarian fortifications. Visit to the 3 Cime di Lavaredo and Monte Croce Comelico Pass. Overnight in Auronzo di Cadore. Day 5 – Wednesday 3 July – Transfer from Auronzo di Cadore to the Cold war bunkers at Savogna. Then, Redipuglia (Biggest WW1 Memorial; Memorial of Redipuglia . Transfer to Caorle beach or to Trieste. Day 6 – Thursday 4 July – Transfer to the Venice International Airport, to Venice and to Padova. The excursion organizers would like to highlight that many of these sites are at altitude and cover rugged, mountainous terrain. Therefore, those with medical conditions are responsible for seeking medical guidance prior to participation. It is also up to individual participants to ensure a proper mountain equipment and that travel insurance is adequate to cover these activities. Send an e-mail to icmg19italy@gmail.com to pre-register and receive all the following information. The conference web site will be very soon on line. You will be informed when the final registration and fee payment procedure will be published on the conference website. The following is just an estimation of the conference and field trip fees. The final fees will be published in December, when the registration procedure will be active. The fee doesn’t cover any costs of accommodation and travelling to/from Padova. Only the keynote speakers get the official invitation from the organizers. All the other ICMG19 participants receive the confirmation of registration for the conference (after the registration is completed).